The Old Fort (1781 / 5 ) on Castle Point , overlooks Fishguard Harbour and was built after the town was bombarded by the privateer "Black Prince". It was originally armed with eight nine-pounder guns . 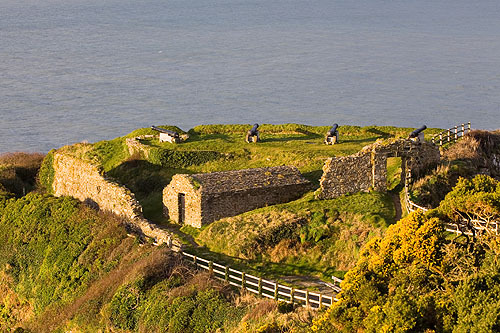 During the French Naval Invasion of 1797 , one of the French ships tried to enter Lower Fishguard Harbour , the Fort opened fire with a blank , it only had 3 live rounds . It was enough to convince the French to sail to Carregwasted Point , a far more difficult location to land an army .